This week, we are delighted to have an interview with the fabulous Perri Lewis, whose blog, Make and Do with Perri is a must read if you do not already follow it. When we met Perri, she very kindly signed a copy of her book – Material World: The Modern Craft Bible – for us to give away to one lucky reader. All you have to do is tell us why you deserve to win it in the comments below. Hello! I’m an editor by day, and a writer by night – I write about craft for various newspapers and magazines and for my own blog, Make and Do with Perri. Last year I wrote a book called Material World: The Modern Craft Bible, a guide to 15 different techniques with advice and interviews with some awesome people, from Tracey Emin the artist to Magda Sayag the guerrilla knitter. 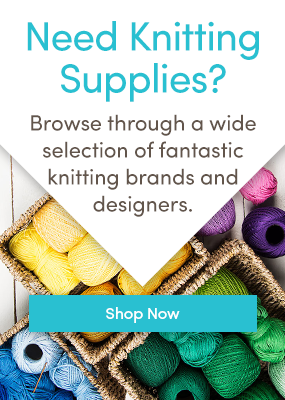 When did you start knitting and crafting? Ooh, a long time ago. I remember my nana and gran teaching me to knit when I was about eight. I got back into making as a teenager though, when I realised if you could make stuff yourself, you didn’t need to rely on Topshop. What was your first knitted project? I think I was aiming for a scarf, but might have been a little ambitious. I remember knitting a strip and giving up – it wasn’t even long enough to fit around my neck. I’m no better now: I get very excited by buying yarn and choosing patterns, but rarely get around to actually knitting. Who or what are you most inspired by, and why? I love glossy magazines and Pinterest. I’m always thinking ‘could I make that?” when I see something I like. The answer isn’t always yes, but I’ll usually have a bash and see how I get on. What is the project you dream of one day completing/finishing? Any of them. Although I did start a beautiful Wool and the Gang kit once and never finished it. I think it’s because the packaging is so stylish I like having it out on a shelf. What is the one actual or technical tool you could not live without? I can’t think of any! Clearly I’m a lover not a hater. Is there a craft you haven’t tried yet but want to? I found a book in Hay on Wye on making seed pictures once : think pasta pictures, but more intricate. The lovely author told you which seeds were best for what kind of pictures and shapes, and had even finely crafted a portrait of her husband in seeds. A real OMG. What are you focused on now? And what do you have planned? I’m taking a little time out after having written a book. Trying (but failing) to think of an amazing idea for the next one. All ideas welcome. If you had to choose a favourite piece you have made what would it be? A Louis chair that my boyfriend and I upholstered. I bought it for about £40 on eBay, sprayed it pink and gave it a grey and dark blue patchwork cover. I rarely sit on it though, as it’s the cat’s favourite place. Last updated: December 6th, 2013. I would live to win this so I can donate it to my schools craft club. They don’t get funding and so the staff buy all the stuff for it ourselves. This book could come in handy! Well I don’t really suppose I deserve it any more than anyone else, but I do feel just as Perri says,always thinking I wonder if I could do that and having a go. At the moment I have just been on a machine embroidery day course which was exciting. Usually I’m trying out too many things at once – knitting, felting, patchwork. I had a Macmillan Big Night In and provided lots of crafts for friends to have a go at. People talked a lot about their knitting and crochet but making felt beads in the kitchen turned out to be the most popular activity. The book sounds exciting I would love to win a copy ! I’ve been reading Perri’s columns in various magazines for a wile now and I love her ‘can do’ attitude and that she brings craft into the 21st century, far away from its previous hippy connotations. I’d love to read her book. I love trying new crafts and this book would have pride of place on my crafty bookshelf! I want this book because I deserve some “me time”. Then I can pass it on to my daughter so she can learn to have “me time”. I LOVE making stuff and tried all sorts and not afraid to venture in to something totally new – currently doing fused glass workshop and loving it, but that is a one off. Home crafts are more affordable for me and also upcycling. I’d love this to help inspire my two crafty little boys to see the world in different ways and the endless creative possibilities in life. I’d love to win because I don’t have nearly enough craft books – they’re brilliant for inspiration, and this one looks amazing.